Before you start any colour work it’s important to know which colour gamut you’re going to be working in. Wait, what’s a colour gamut? A colour gamut is essentially just a range of colours. The colour systems we use on computer screens or for printing are limited in their gamut. They can’t create every combination of colours that we can see with the naked eye. RGB is additive. You start with nothing (black) and add combinations of red, green and blue to get all the colours, maxing out at white. 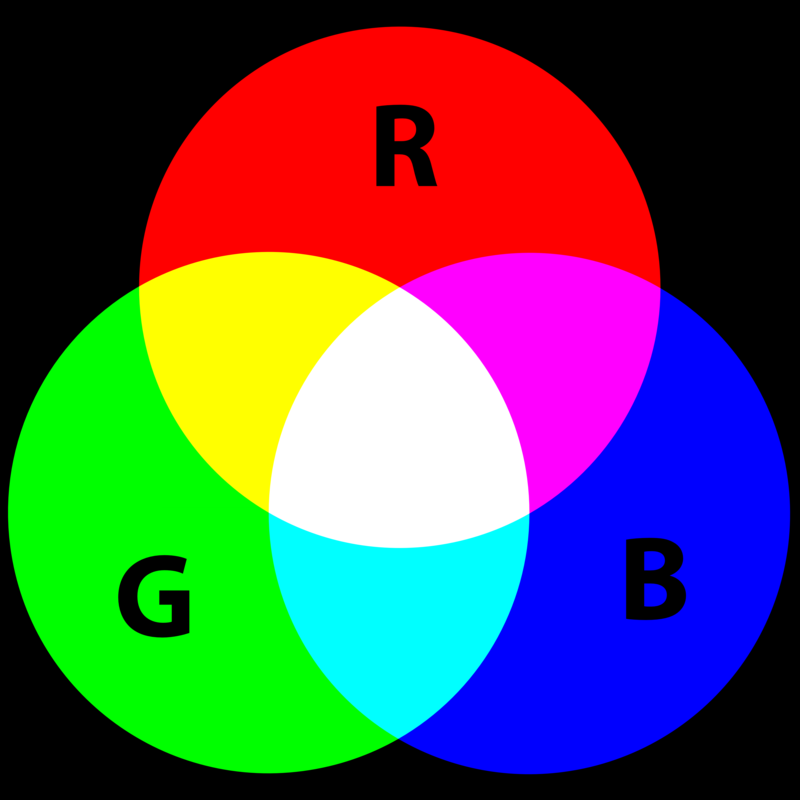 RGB also has the larger gamut compared to CMYK (it has a wider range of possible colours). CMYK is subtractive. You start with all the colours (a white sheet of paper for example) and subtract colours from each other, eventually reaching black. 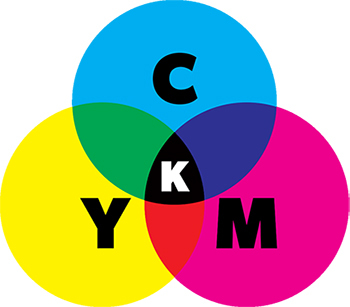 CMYK is better at displaying cyan, magenta and yellow, as the name suggests. Don’t worry if you find this confusing. All you need to know is that each system has different gamuts that it can construct. Here’s a simplified visualization of the two gamuts compared to what the human eye can detect. Okay so which do I choose? The right option for you depends on what you plan for your comic. 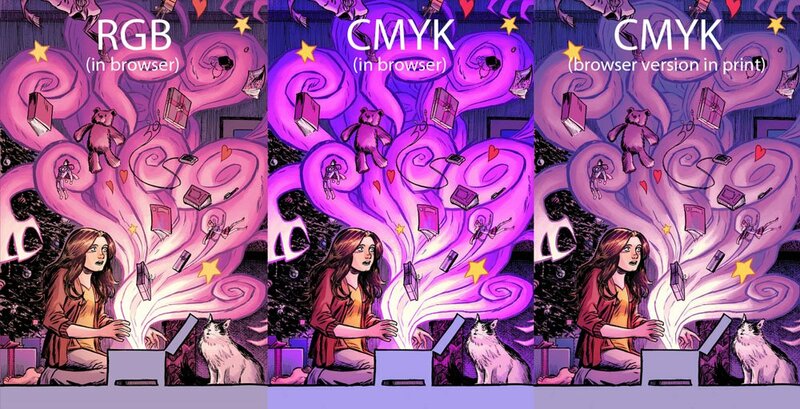 To keep things simple, CMYK is the prefered system for print while RGB works better for web. Now this is a bit of a generalization. 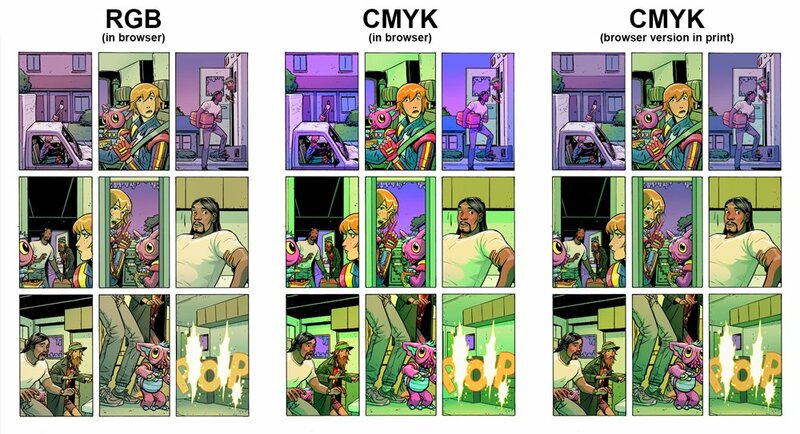 While most large scale comic printers print in CMYK, there are some that require RGB files (Ka-Blam). Oh no, my files are in RGB but my printer needs CMYK! Am I screwed? Converting between the two systems is possible but it can lead to distorted colours. Here are a couple examples of the differences between the two. Certain colours are affected more by the transformation from RGB to CMYK (deep greens, blueish purples and reds). I won’t go into details about how to convert your files but there are plenty of in depth tutorials you can lookup online. Ultimately my major suggestion is to plan for the future. Preparing your comic for print in advance (even if you don’t expect to ever get it printed) could save you a major headache in the future. If you want a more in depth answer about the differences between the two systems, check out this blog post by Print Ninja.